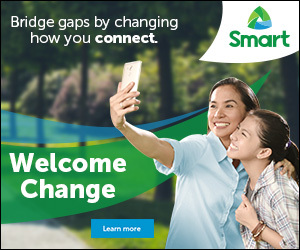 Remember September last year, when Smart Communications Inc. Chairman Manny V. Pangilinan announces their early gift for Filipinos (story HERE). A Smart FREE Internet access for all from the time it was until now, YES, you heard it right until now the Smart FREE Internet continues. 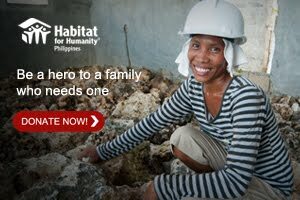 All you have to do is to register daily by texting FREE to 9999. All SMART, Talk 'N Text and Sun Cellular prepaid or postpaid sunscribers. Up to 30MB per day is FREE for you, make sure you have at least 1Php balance on your load to access it properly and without interruption. 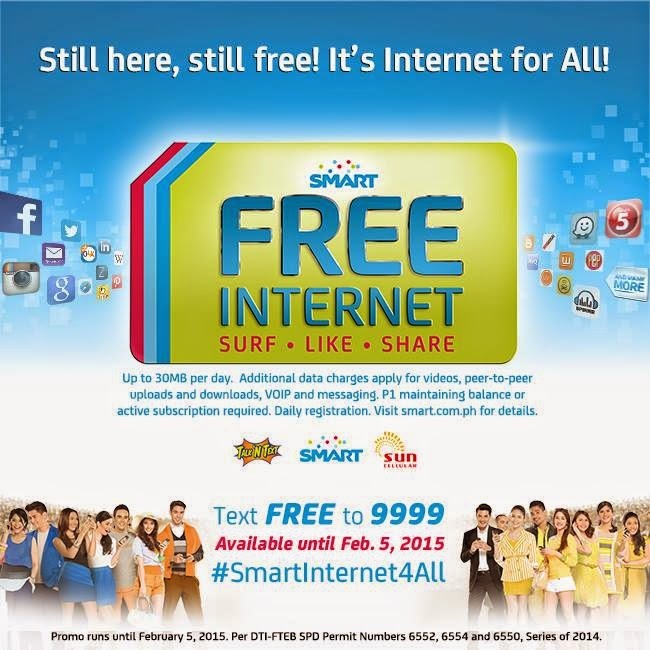 The extension of our FREE gift from Smart is until February 5, 2015, so make the most out of it. Don't waste any peso just to make your favorite fast time (surfing the net) be accessible. FREE for all your social networking sites like Facebook, Twitter, Instagram etc., Wikipedia and more. Thank you so much SMART Communications Inc. I can still "Live More" having SMART as my network provider.